Personally, I aspire to be an MUA (makeup artist). There is a satisfaction at the end of the work when I see how my client transforms from a plain jane to a princess. It gives me a sense of achievement that I can make someone really beautiful, even it is just for a few hours. To set the record straight, I am not formally trained as a makeup artist and neither do I have a line-up of impressive clientele to brag. I am learning small steps along the way and I hope that all my learnings will help other aspiring MUA. Be it in a physical mentor or someone you really look up to as an MUA, you need to have a mentor and mimic their progress. The MUA that I have been looking up to since I was young is Lisa Eldridge. I used to read her articles in Glamour magazine. When YouTube came into my life, I discovered Lisa Eldridge's channel. It is a direct access for me to learn from her directly online. I always follow her work and learn how she achieves her projects. Look out for your own favourite makeup artist and learn from that person. Take the opportunity to practice - on yourself, on your family or on your friends. Practicing on someone else gives you the chance to get the hang of controlling your hands. It is very different from putting on makeups for yourself. Besides getting the flow of the hand control, you can also get honest feedbacks from the person you are working with. From the feedbacks, you know which part you are doing well and where you should improve on. To build an MUA makeup kit, it can be expensive. You don't have to purchase the whole range of Marc Jacobs foundation just to cater for different skin tones. Star off with quality products from big brands such as Maybelline, L'Oreal or Revlon. These are brands your clients may be familiar with. Don't get brands that people never heard of because it will create a doubt. You don't want your client to tell others that you are frugal with your tools just to save a few bucks. Also, you need to be mindful of your spending when building your makeup kit. When starting out, you probably have to do free makeups for your friends and family and these going to add up to your cost if you aren't earning from your service. If you're still young (early 20's to 25-ish), I would say go take a part-time job at makeup store. This the thing that I wished I did, but during my early 20's there weren't that many makeup stores. Those big brands generally take only makeup artists as their sales representative. Otherwise, other brands are sold in departmental stores where they only take full time staff. Right now we have Sephora popping up at every corner of the city, makeup brands that focus on online platform, pop-up makeup stores and many more. Makeup is going to be a huge thing and it is growing rapidly. It isn't hard to land on a part-time job at makeup store these days. When getting into it, you have to learn how to handle customers. These customers are going to represent your clients. You also need to learn how the product works and how it works on different types of customer. Ultimately, you need to learn about the makeup industry and get some connections for your network before you embark on your career as MUA. As someone who already has commitments and earning a stable income, you can't leave your day job immediately. Put a threshold on yourself to quit your day job. Let's say you will only resign after you get a stable earning from your makeup at least RM5k per month. Or you will resign if you manage to get 100 clients within a quarter. You need to secure yourself on the other side of your career before quitting, that is if you have an intention to quit your day job. You have to operate your business with a business in your mind (unless you have enough of passive income and want to work as an MUA for fun). That means you need to have a proper record of your expenses (makeup you purchased, mileage expenses, marketing costing, etc.). Before that, you also need to have your working plan, which makeup area you want to focus on, your budget for each product range, what is your marketing strategy, etc. This is the major part of your work that will distinguish a successful makeup artist. You need to know your objective of becoming a makeup artist. 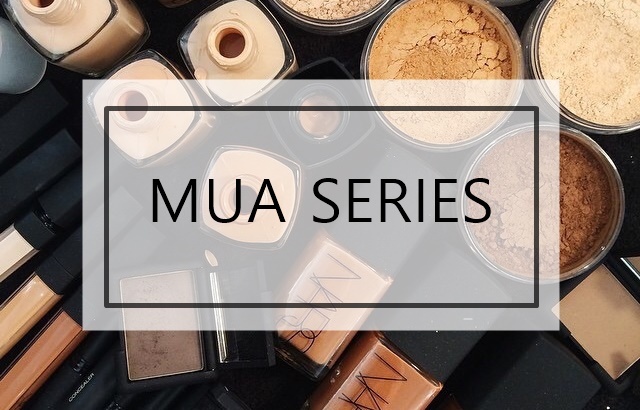 MUA is not a traditional career where you can draw the line where your success is. There is no career ladder and there is no progressive title to it (other than a creative director). In a typical job, you can measure success by your position level, the income you earn or the number of projects you secure for your company. As an MUA, you need to determine your own success and what is your ultimate goal - do you want to launch your own makeup line, do you want to become a celebrity makeup artist, do you want to work for the fashion industry and so on. Personally, I want to have my own makeup class where people can walk-in and get a makeup lesson with no strings attached. Right now makeup lessons are still based on a ten classes schedule or you have to purchase a certain amount of products to be entitled to a makeup crash course. I want to have makeup accessible to everyone just like walking into a cybercafe to play your favorite game. Since this is my very first MUA Series, I am still compiling all the information and learn as I go along the way. If you have anything you would like to know, it would be great to leave a comment below. I will do in-depth research on it and craft the best suggestion or best practice for MUA.